As if Quentin Tarantino's Once Upon a Time in Hollywood didn't have enough A-list actors attached, the film just secured Al Pacino in a notable role. 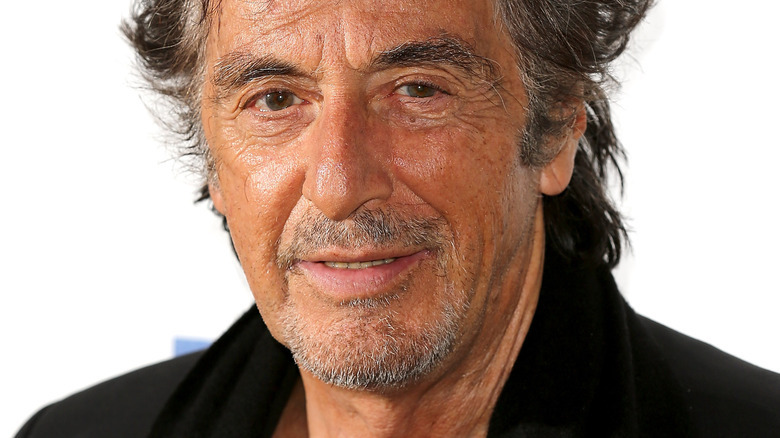 Variety confirmed that Pacino is set to play Marvin Shwarz, the agent of Leonardo DiCaprio's character Rick Dalton. Once Upon a Time in Hollywood marks Pacino's first collaboration with Tarantino, who has long admired Pacino's work. In addition to starring opposite DiCaprio, Pacino will share the screen with Brad Pitt as Rick's "longtime stunt double" Cliff Booth and Margot Robbie as Sharon Tate, the actress who was murdered by members of serial killer Charles Manson's Manson Family cult. The film is set in 1969 Los Angeles, during the height of hippy Hollywood, and follows DiCaprio's Rick, an unemployed and down-on-his-luck actor, and Pitt's Cliff as they struggle to make a name for themselves in a city they no longer recognize. Thankfully for the hapless duo, the tides turn when Rick fully realizes who his next-door neighbor is — Hollywood darling and the wife of director Roman Polanski, Sharon Tate. Pacino's casting follows the wave of new actors that on-boarded the film on Thursday. These names include Dakota Fanning as Manson Family cult member Squeaky Fromme, Damian Lewis as real-life actor Steve McQueen, and Luke Perry as a character called Scotty Lancer. Tarantino and the minds behind the pic also tapped for Once Upon a Time in Hollywood's ensemble cast Emile Hirsch as famed Los Angeles-based hair stylist Jay Sebring, Nicholas Hammond as film director Sam Wanamaker, Clifton Collins Jr. as Ernesto the Mexican Vaquero, and Keith Jefferson as Land Pirate Keith — because really, what other moniker would he take on? Timothy Olyphant and Kurt Russell also star, but details on their characters haven't been revealed. Now that Pacino is attached to Once Upon a Time in Hollywood, Tarantino is reportedly looking for the right actors to play Roman Polanski, martial arts icon Bruce Lee, and Charles Manson himself to fill out the main roster. Based on Tarantino's established habit of picking from the same bundle of stars for his projects, it seems plausible that he might select actors he's worked with a few times in the past for those remaining parts. The director has done it twice already for Once Upon a Time in Hollywood, casting his frequent collaborators Tim Roth and Michael Madsen in yet-to-be-revealed roles. One star fans probably won't see in Once Upon a Time in Hollywood, however, is Samuel L. Jackson, who is hard at work filming Captain Marvel. Jackson has appeared in six of Tarantino's nine previous films, but Hollywood won't be his lucky number seven. Catch Pacino and company in Once Upon a Time in Hollywood on August 9, 2019.